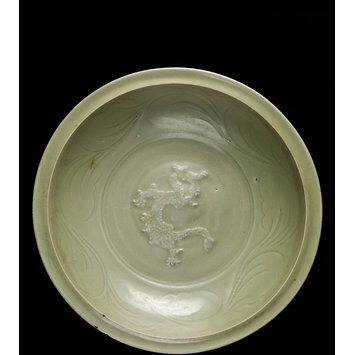 Chinese potters first used sprigging around 600–400 BC. 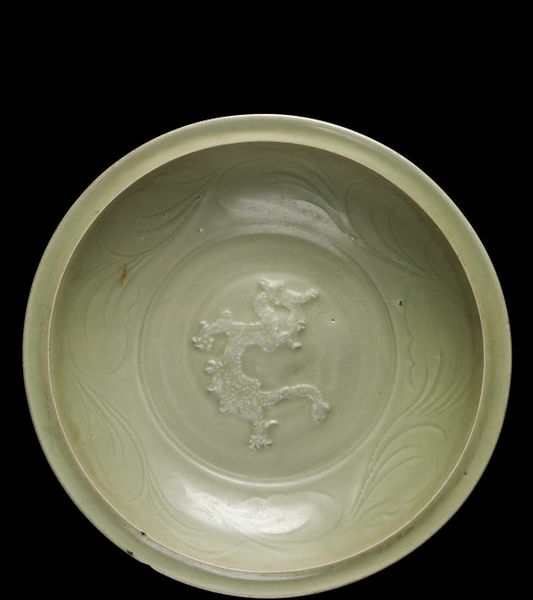 The technique was revived for details by potters at the Longquan kilns in south China, this dish being one example. 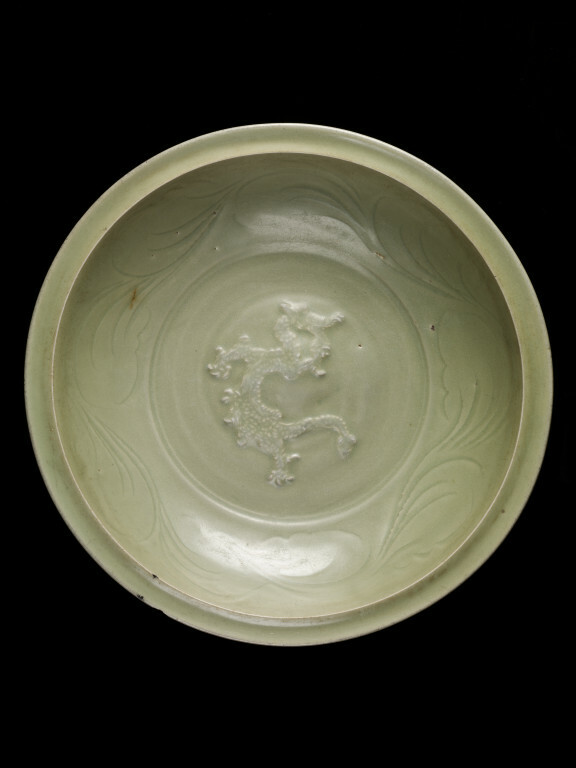 Dish with rounded sides, flattened and slightly everted rim, recessed base and unglazed foot-ring. Stoneware covered with celadon glaze, matt with pinholes from the firing. Decorated inside in moulded relief with a small-headed, scaly, four-clawed dragon rampant with pointed tail, and round the cavetto with a band of sketchy, incised cloud scroll; the outside with carved lotus petals.